When I heard for the first time Tony Gauda´s statement “We are killing the hard drive” it immediately got my attention. Storage is one of the key points of their product, they kept everything very simple. A free offer includes 10 GB of online space for your virtual hard drive. And another paid account for only USD 10 a month (or USD 100 a year) you get unlimited storage. (Yes, you read correctly UNLIMITED). So after driving crazy searching for a non expensive online storage solution for all my stuff (several TB of stuff) , I finally found a price friendly product. I don’t have to worry about if my plan is getting to the limits because there are NO limits. Sweet! 🙂 Also, you don’t have any restriction on the file type you upload or how big the files you want to store have to be, all will fit. Another very important point after what happened with MegaUpload about a year ago, is to be able to encrypt all the files you upload to BitCasa without having to do any manual process before. With BitCasa all the files you upload are encrypted before they leave your computer, this way, nobody (not even the guys at BitCasa) can access these files or see the file names you upload. For me this brought a lot of peace of mind. I´ve been testing different online storage solutions since a while now, and some days ago I wrote about what the best online storage service should have to rule the market. The latest version of BitCasa fulfills several of these points. I tried the very first early version of BitCasa last year and to be honest, it was not working well at all. The interface was messy and difficult to understand, on Windows it would hang a lot. So after providing some feedback to the support team I decided to leave it for a later testing. Time has passed, and BitCasa got funding, more than 7 million dollars funding to be more precise and all that money is being well invested on a quality product that is reaching a high standard. Its not a small thing to state something like Tony did “We are killing the hard drive“, when a company says something like that it really has to stands for what its promotes and I think the BitCasa team is going in the right path. I installed the latest version of the application on my Windows 7 computer about a week ago, after sending a lot of doubts and questions to the support team and after getting them clarified I decided to go for the paid account. Although I am still testing the product, it works very good, no hangs till now. I also tested the iOS app and it works good too. The team corrected a very bad flaw on the service which was upload speeds from where I am located (Switzerland). I have a 100 Mbps/7 Mbps connection at home and I really needed a service taking advantage of my connection. BitCasa does a great job, it uses all what my connection can give. Technically Tony explained the service´s storage servers are using a mixed solution between Amazon´s well known cloud and a private solution they put in place. They built the first hard drive space delivery network. I tested the files upload speeds and folder upload speeds, also tested the reaction from the moment I right click and chose to mirror a folder on my hard drive so it gets backed up on BitCasa and it was almost instant. Now I am syncing a folder of 650 GB to BitCasa and its uploading firmly and steady without any problems till now there are still 436 GB left to be uploaded so it will take some more days to finish. – Move things to BitCasa only. – Copy things on your computer to your online drive. – Mirror any folder you have on your computer to BitCasa. This would preserve all your files on your local drive, and they will be automatically backed up online. My recommendation is to use the mirror functionality for the stuff you are not willing to loose, I would use only the move only to BitCasa for things I would be willing to loose. The company also offers a Chrome extension to download things directly to your BitCasa drive, but I haven’t try this feature yet. Finally the offer ends with chat, Twitter and ticket system support, which I already tested and although it took a bit longer to get an answer than I would have liked, its something tolerable for the price I am paying for the service. The online help system and community forums also are very helpfull to clarify different doubts. – File Synchronization is the main thing BitCasa is missing, and its strange because its “partially there”. I can right click on a folder and select Mirror, this would sync any changes I make to that folder on my computer to BitCasa, (ideal for live backups). But If I share a folder with someone, I need that person to be able to see always the latest version of what I shared without having to create a new share each time I modify or add stuff. Also the idea of being able to decide if the other person can read only, modify or has full control over the shared folder is something that would be nice to have. This is fundamental for the product to succeed. Although BitCasa has been trying to differentiate from Dropbox, Google Drive and others we all expect BitCasa to fulfill those products sync features PLUS the added value BitCasa has to offer. This could even be part of the premium package to incentive users to get unlimited storage + sync for a fair USD 10 monthly fee. – File Sharing with non BitCasa users is very limited, only getting the option to download the file or folder or to add it to the user´s BitCasa. I understand this is by design to promote users to get an account, but it would be nice to be able to share stuff with non BitCasa users so they can access the content online without having an account. – Partial access to ongoing mirroring: When mirroring a very big folder online it takes several days to upload (this is normal, and depends on the connection of your computer). I tested it with a 650 GB folder and the problem I encountered is that I cant see any partial uploaded stuff on the web platform, I cant even see the folder online yet. I asked the support team about this and they told me that the folder will appear once is completely uploaded. Waiting several days to be able to access my stuff (at least partially) is not nice. – The lack of information like which files are being transferred unable to set the bandwidth for the application or a schedule is not a terrible lack but its something nice to have too. – Long Sharing Links: When you share a file or folder on BitCasa it will generate a unique link. If they implement a way to have those links shortened they will be more friendly. Not having to recur to a third party like goo.gl will add more security but as goo.gl doesn’t list the URL´s it wouldn’t be bad to at least have this option. – Support & Improvement: Last but not least, it would be a mistake to ask users of BitCasa to test the product, and provide feedback if then nothing of the most voted requests are not going to be fulfilled. Dropbox made this mistake already and you can see highly voted requests on their VoteBox platform that are still not developed and could have been developed to improve the product. I hope BitCasa takes advantage of this feedback and really develops and improves the product as expected. BitCasa is a great product, I´ve been testing it a lot during the past week and it has the basic stuff that made me subscribe to the USD 10 per month price friendly subscription. As every new product it still needs some improvement and if the company is wise and can deliver what the consumers want by improving this lovely product, we will be watching BitCasa succeed in a terrain plagued of competitors that are still fighting to offer limited amounts of GB of online storage at a much higher rate. This product could be the next Google or Facebook. And you? What do you think about BitCasa? Have you tested the latest version of it? Feel free to leave your comments below. 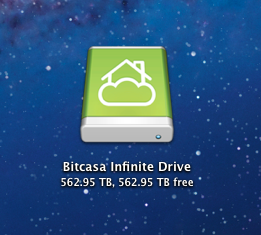 If you are interested to try the product with a 1 month free unlimited storage you can open your own BitCasa account from the following link: http://l.bitcasa.com/AVXgzPPC (this is just your benefit, I don’t get nothing). BITCASA COUPON $30 OFF: Mother’s Day is next week and Bitcasa is offering $30 off her first year of infinite storage so mom can back up her photos and other important memories. Just use the promo code JUSTFORMOM. Good through May 13, 2013. Unfortunately BitCasa is dying, they cancelled all unlimited storage plans forcing every user which had an unlimited storage account to close it. I think this company was a good idea but they never made the product work properly and their commercial aspects where always at doubt. I recommend NOT to trust BitCasa with your files at all. Its an application that enables an online virtual drive on your computer that works the same way an external hard drive connected to your computer would but with steroids. It adds all the benefits of having all the information you put on this drive securely backed up online and available to access it from any device you have (PC, MAC, Tablet, Smartphone) no matter in which part of the world you are. They just changed their pricing plans. It’s now $99 a month, or $1000 a year for unlimited. I’m just checking out Bitcasa after Copy.com more or less failed the field test. That mirroring vs. sync “feature” is really a pain. Are there any hints, they implement this in future releases? Have you tried out, using a third party sync tool? Hi there, yes I am testing and giving them feedback since about 2 months. I am receiving direct feedback from Bitcasa and I think they are working hard. They are about to release a totally new iOS app more stable and functional. You can check feedback.bitcasa.com to check the things they are going to enable. 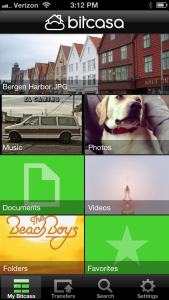 Imagine an infinity encrypted drive with option to copy only online plus all the sync and sharing as copy and Dropbox. That is the dream product I am waiting. So, if you don’t see any upload progress, how do you know it’s done? For example, I pull in a folder from my external HDD. When can I detach the hard drive? And what happens when I shut down my PC while uploading, detach the HDD and start it up the next day? Are my files cached on my internal drive or do I have to walk around with my external HDD for days until it’s uploaded? Or will it just pause until the drive is reconnected to the PC? Good points they need to address quickly. 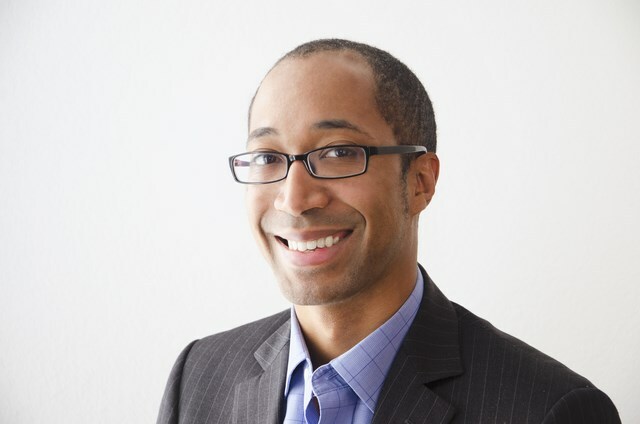 is there any other than Bitcasa? I’ve got the infinite drive. It doesn’t actually replace my hard drive though because I use a desktop and run applications from my HD. As simple storage it’s good and gives a bit of piece of mind. I echo the author’s concerns about slowness and no way of knowing what’s going on until it’s finished doing what it’s doing. At first I didn’t understand this and thought it wasn’t backing my stuff up but read some things online and realized it’s a flaw which will, it is to be hoped, be remedied in the future. @AWensleydale thanks for your comments. Actually if you right click on the System Tray icon you can see how many GB left are to be uploaded by BitCasa. But I totally agree that this needs to be more clear so the users (us) dont have the perception that something is going wrong. (I also had to ask support if my stuff was being uploaded correctly because I was not seeing any partial upload yet). The product looks very promising I hope we can find a lot of improvements on the following months as it is my understanding that it is under heavy development. We stumbled over here different website and thought I might as well check things out. I like what I see so i am just following you. Look forward to finding out about your web page for a second time. Unlimited actually sounds very good. I will give it a try! Thanks for your review!